Share best practices on how to develop minority-, women-, and locally owned businesses and build capacity within a disadvantaged and underdeveloped segment of our business community. Year One Progress: Continued to share best practices with BLocal partners. Year Two Progress: Continued to share best practices with BLocal partners on ways to increase diversity spend in all organizations. Participated in several BLocal meetings and events, including: “Buy” sub-committee meetings, partner check-in meetings, Build College vendor fair and graduation, and “Doing Business with Big Business” symposium. BGE has created a capacity-building program, Focus 25, that affects and enhances development of regional minority businesses to create scalable, regionally centered, diverse suppliers for BGE. The core purpose and objectives are to support Maryland’s economic development, assess diverse supplier capacities to make available curriculum and coaching support, provide a forum for sharing small business best practices, recognize and leverage the diversity brand as a competitive advantage, and add to smaller firms’ ability to compete.The achievement of this supplier diversity goal necessitated our need to rename the program to reflect BGE’s continuing commitment to diversity and inclusion. BGE’s Chief of Staff, scheduled a series of meetings with the Director of Marketing, Director of Utility Communications and Diverse Business Empowerment Manager to develop a marketing and communication plan to rebrand the supplier development program. On September 13, 2017, BGE officially renamed the program BGE’s Focus Forward Supplier Development Academy during the orientation session for the fourth class. Year One Progress: Focus 25 has successfully graduated three classes, representing 29 diversity certified businesses. In 2016, through the Focus 25 Supplier Development Academy program and other diverse business empowerment initiatives BGE exceeded the 25 percent MOU goal for the first time. Year Two Progress: BGE hosted the 2017 Focus 25 Supplier Diversity Academy’s Networking Reception in January at the Reginald F. Lewis Museum. The event brought together Focus 25 participants, BLocal partners, BGE/Exelon Corporation, elected officials, advocacy groups, and other community partners. A fourth class is underway and scheduled to graduate an additional 13 diversity certified partners in 2018. Commit to a supplier diversity goal equal to 23% of BGE’s 2016 total procurable spend (22%, or $185 million, in 2015). Year One Progress: Purchased $257 million in goods and services, or 26 percent of total supply managed spend, with diversity-certified suppliers nationally, an increase of 3 percent compared to the BLocal commitment. Spent $75 million with diversity-certified suppliers in Maryland and $43 million with diversity-certified suppliers in Baltimore City. Year Two Progress: Exceeded a new BLocal “Buy “commitment to spend 28 percent of the total supply managed spend with diversity certified suppliers. In 2017, BGE purchased $283 million in goods and services or 29 percent of the total supply managed spend with diversity-certified suppliers. It spent $78 million with diversity-certified suppliers in Maryland and $5 million with diversity-certified suppliers in Baltimore City. Partner with BLocal partners to share best practices on ways to increase diversity spend in all organizations. BGE, founded in 1816 as the nation’s first gas utility, is Maryland’s largest natural gas and electric utility. Headquartered in Baltimore, BGE delivers power to more than 1.25 million electric customers and more than 650,000 natural gas customers in central Maryland. The company’s approximately 3,200 employees are committed to the safe and reliable delivery of natural gas and electricity, as well as enhanced energy management, conservation, environmental stewardship, and community assistance. 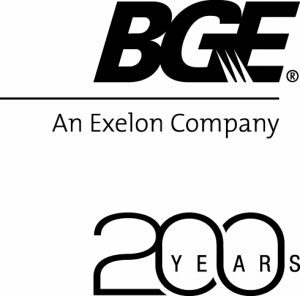 BGE is a subsidiary of Exelon Corporation. Visit BGE.com to learn more about career opportunities.